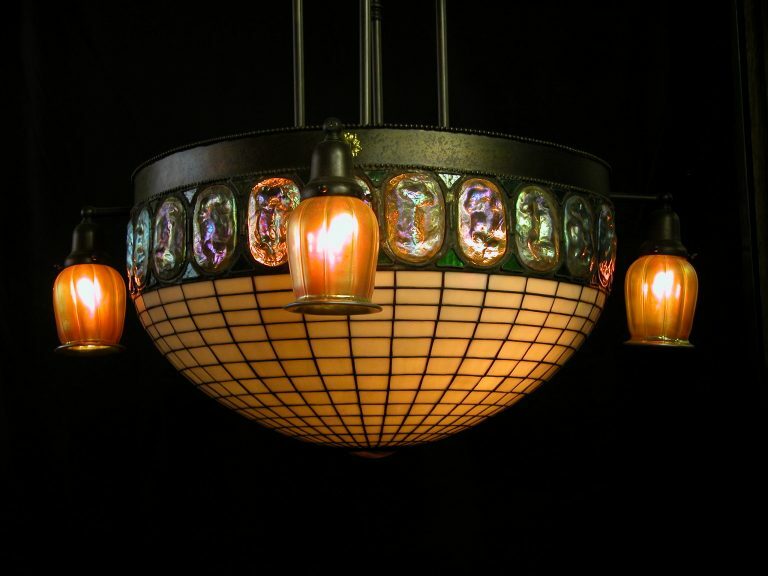 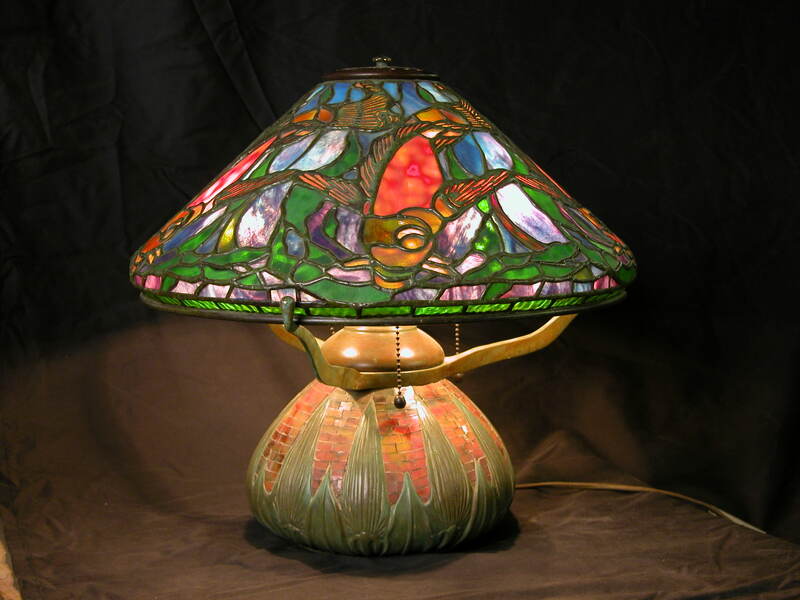 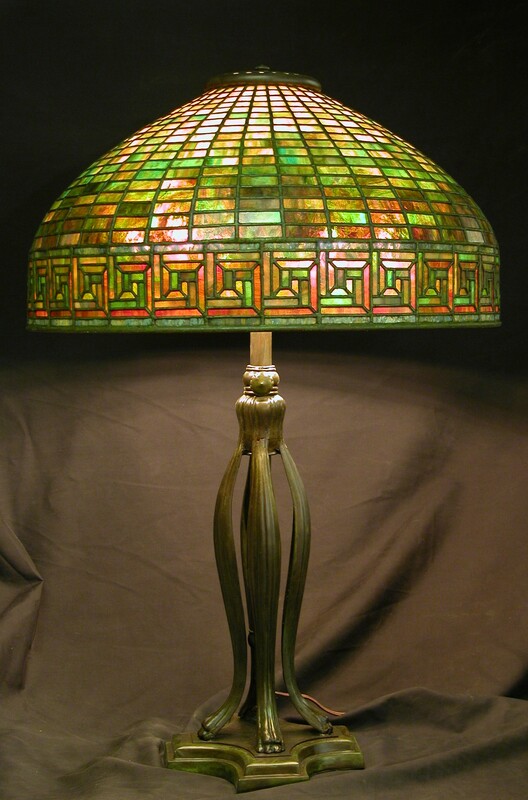 At Tiffany Stained Glass, we create our custom lighting fixtures of the same materials and techniques that exemplify fine bench-made fixtures. 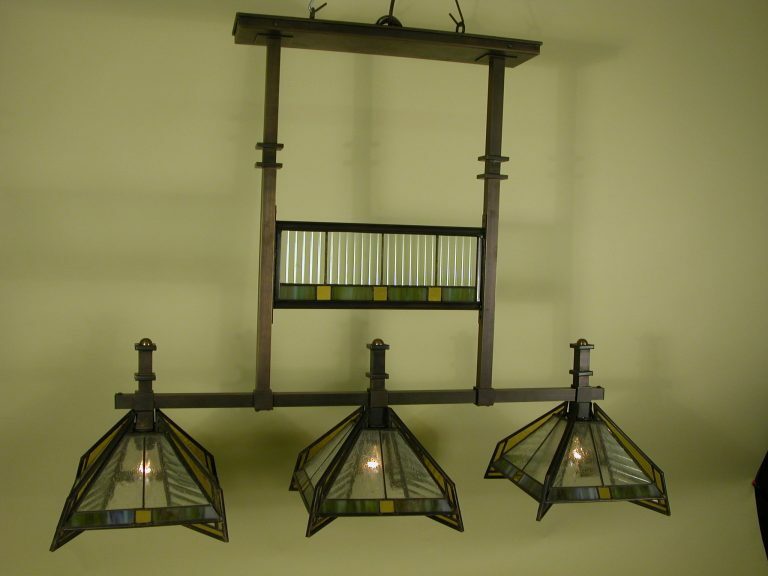 Each feature is meticulously crafted of high quality glass and metals to achieve the standards of great design. 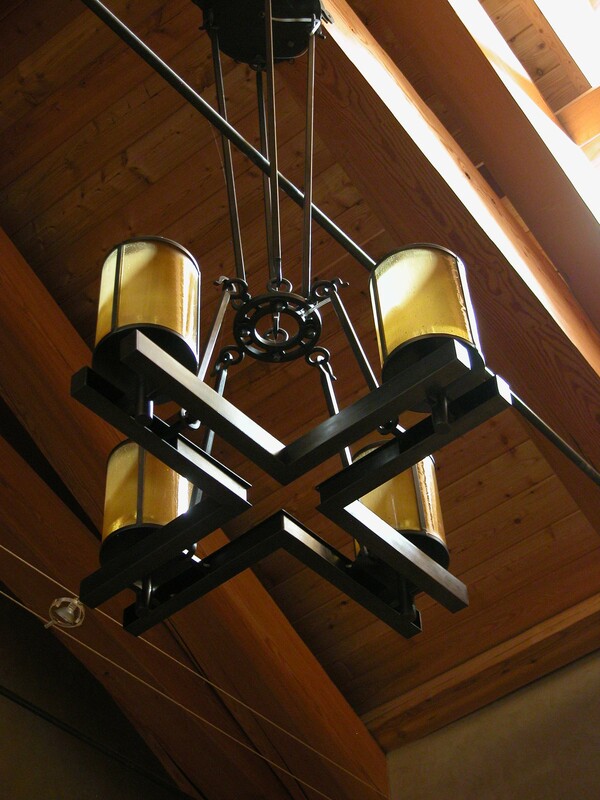 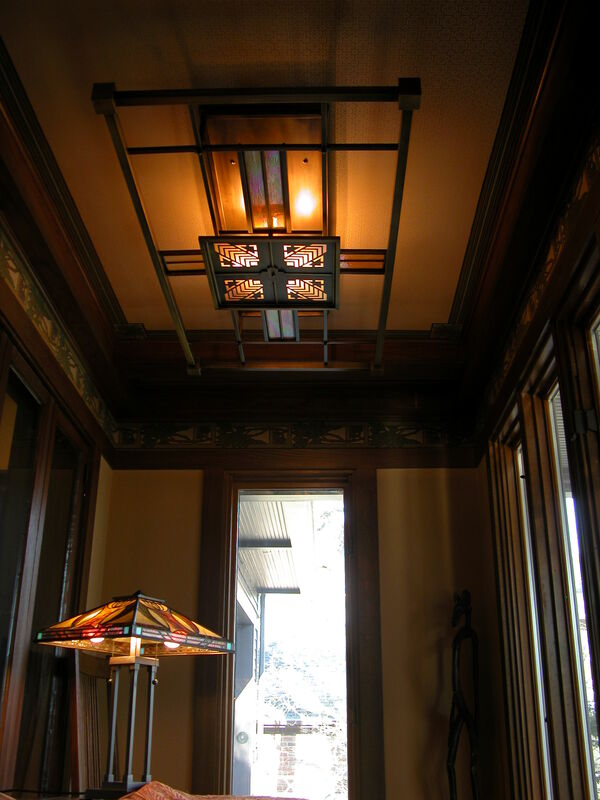 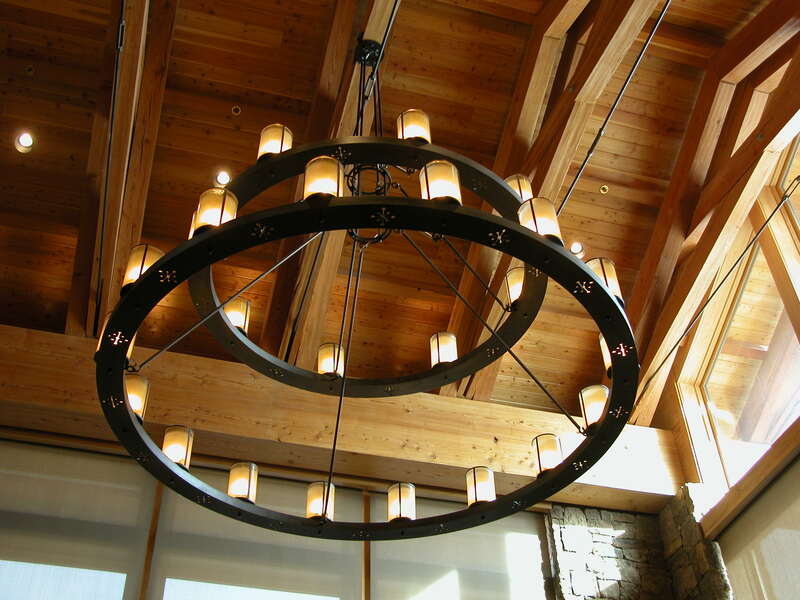 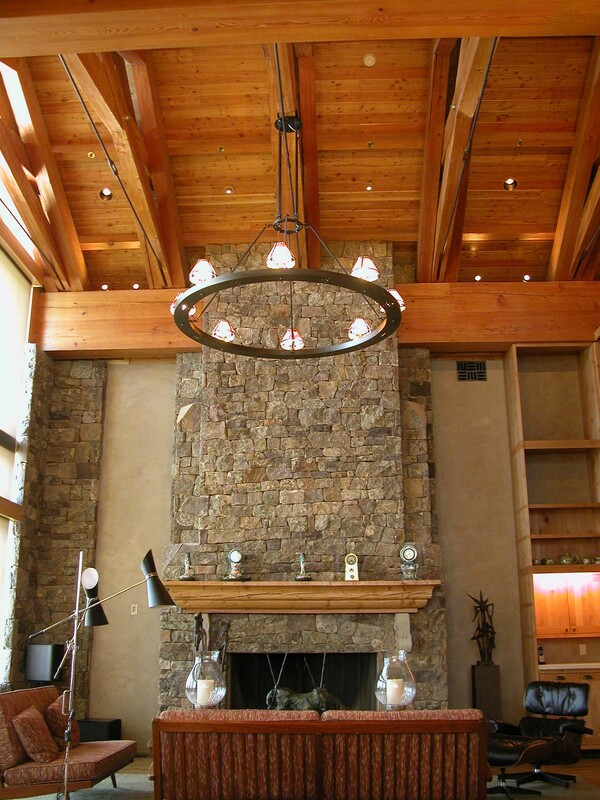 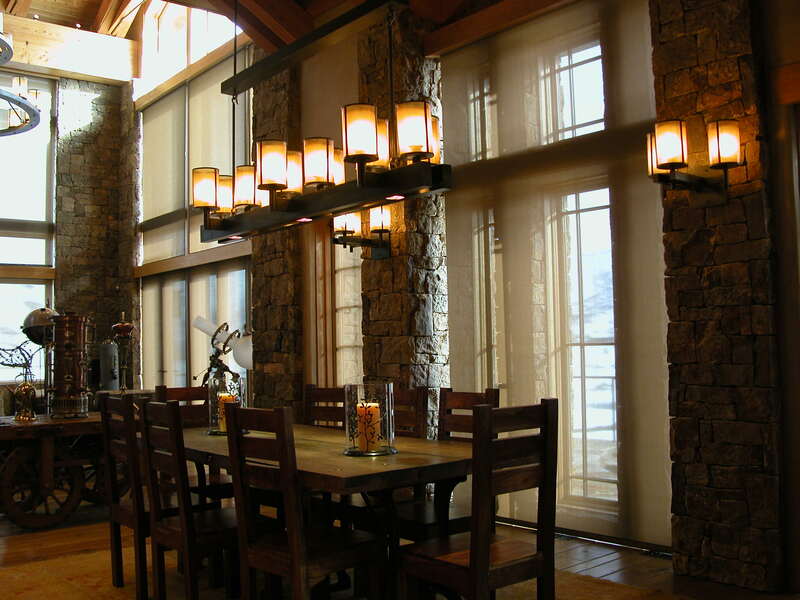 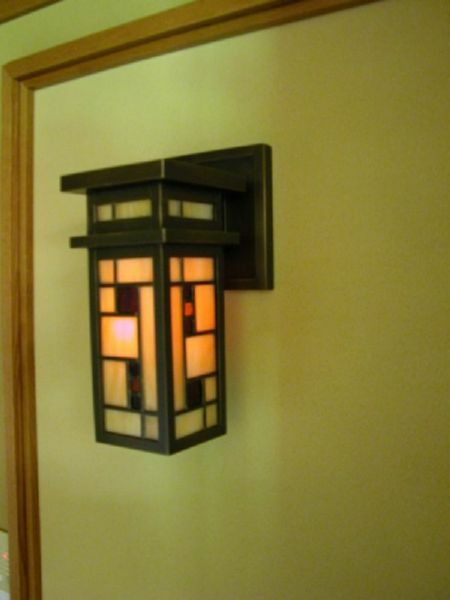 This line of Custom Lighting fixtures represents the traditional approach to prairie lighting. 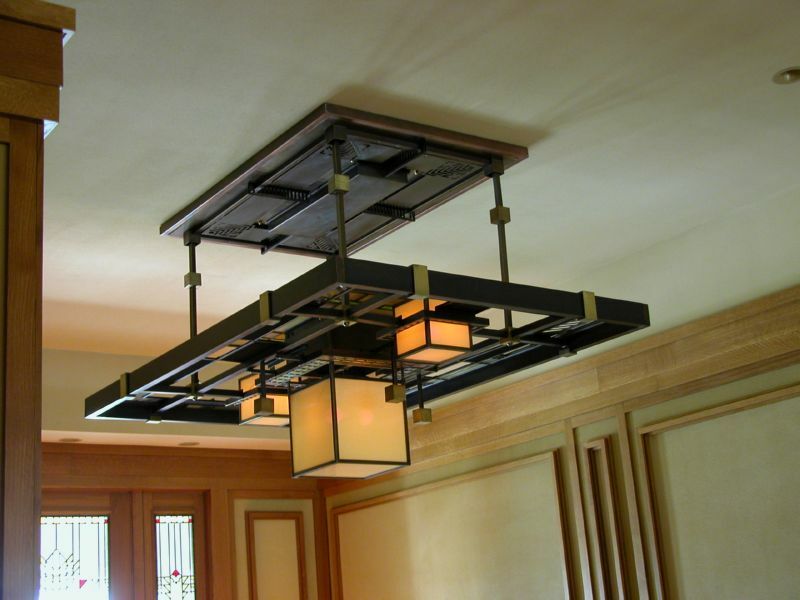 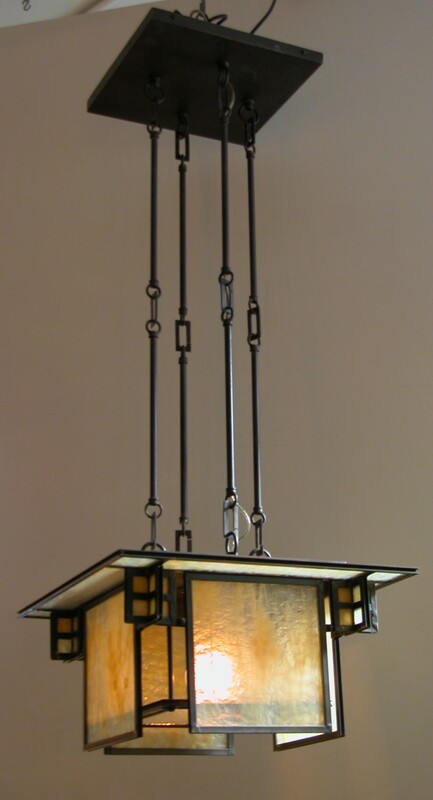 Heavy walled brass structure of brazed construction provide a sturdy framework that supports the intricate details that are the hallmark of Prairie Design. 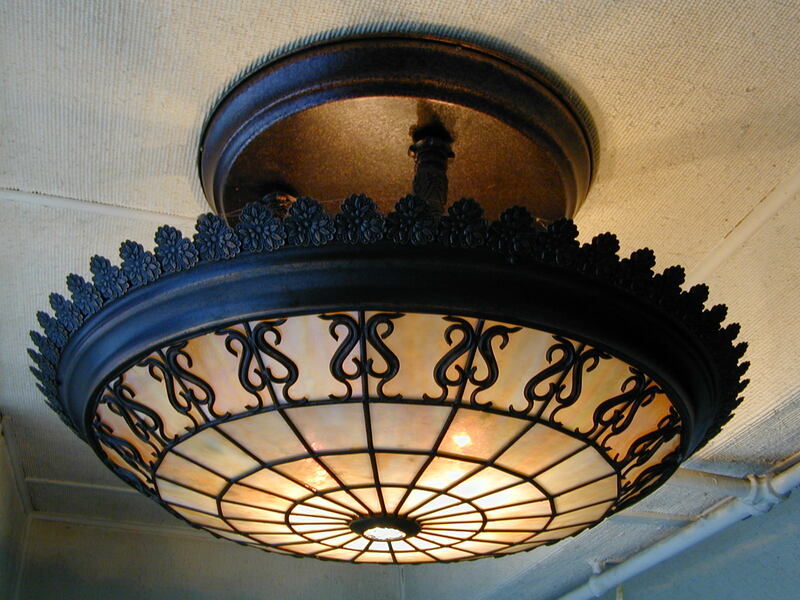 A wide range of metal finishes are available as well. 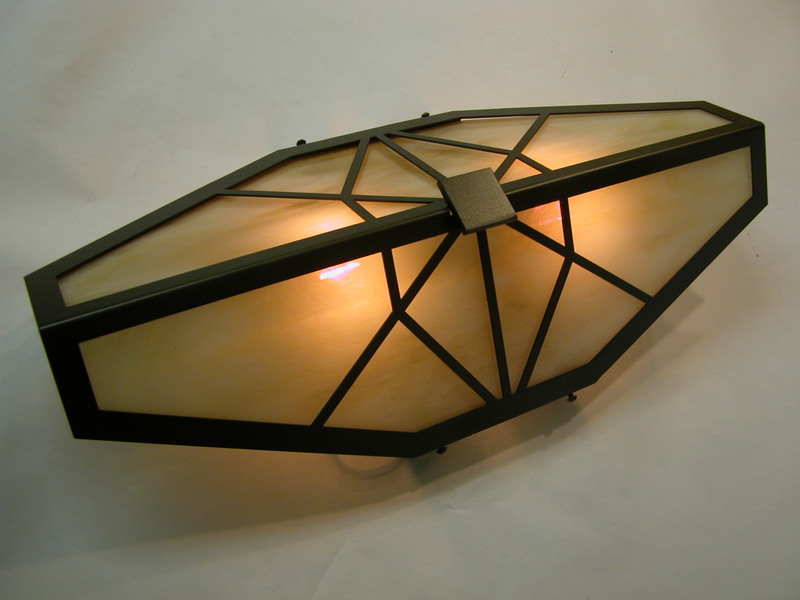 Suitable for exterior use, and wired for commercial lighting applications, these rugged light fixtures are as durable as they are beautiful. 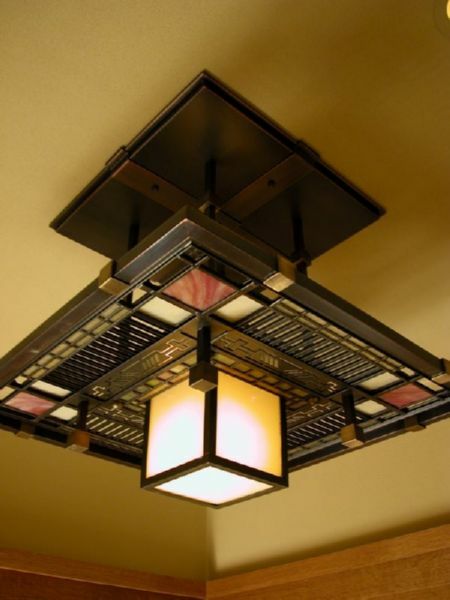 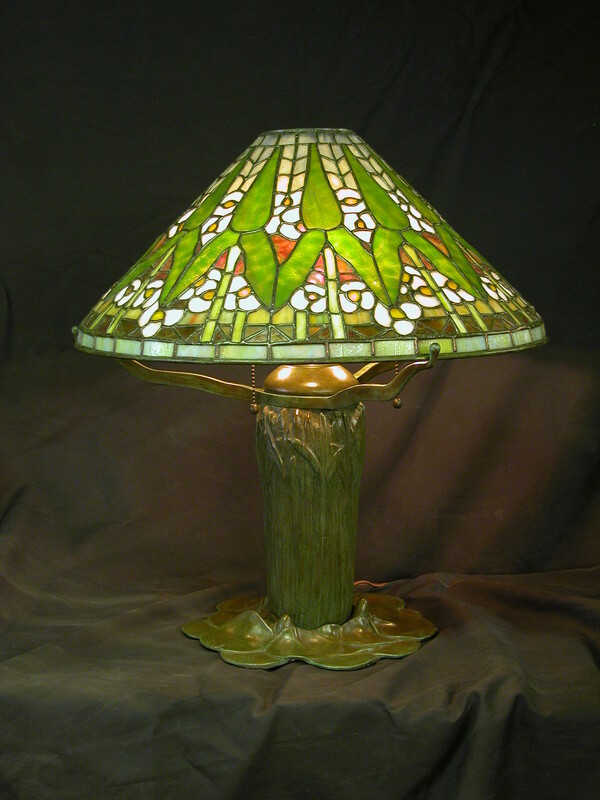 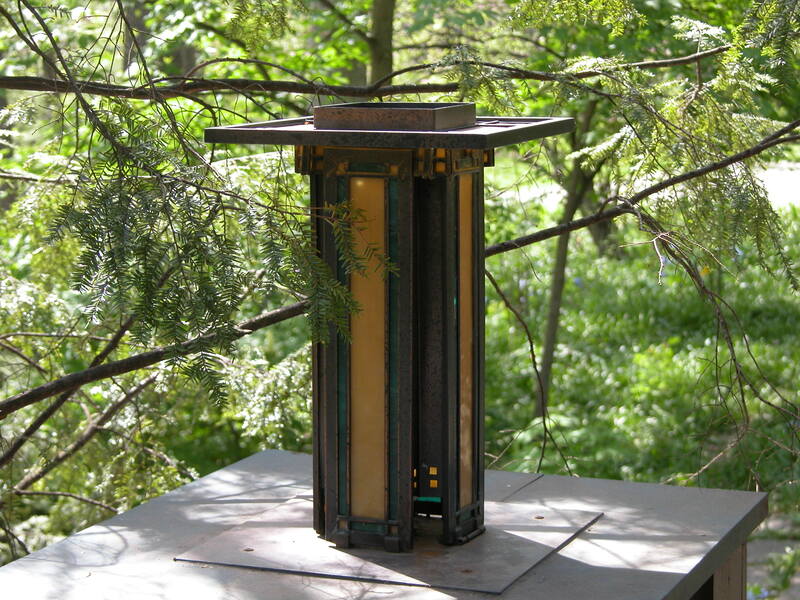 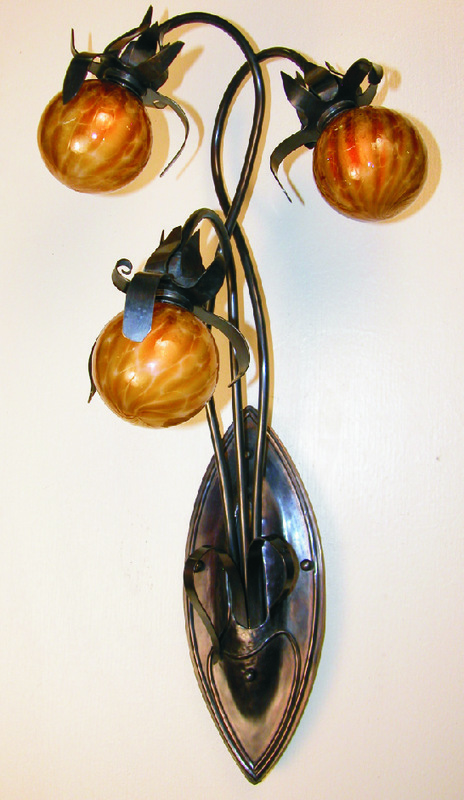 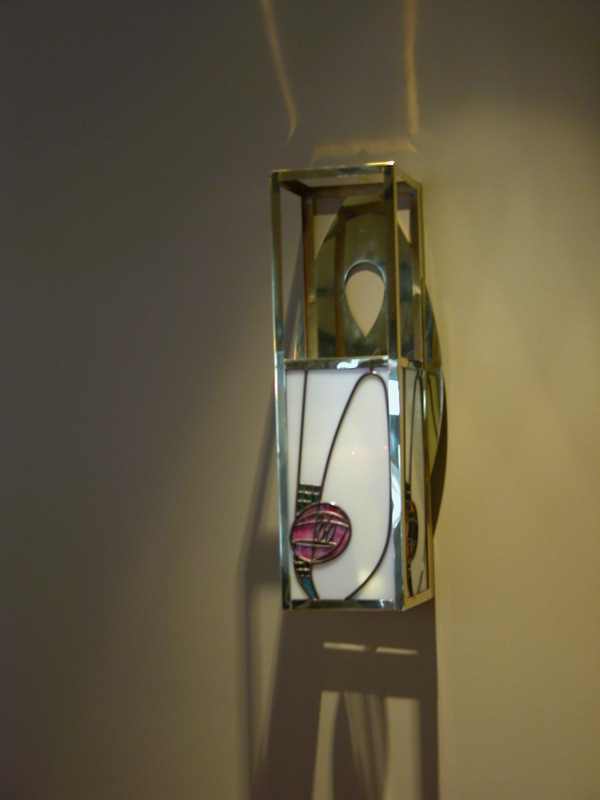 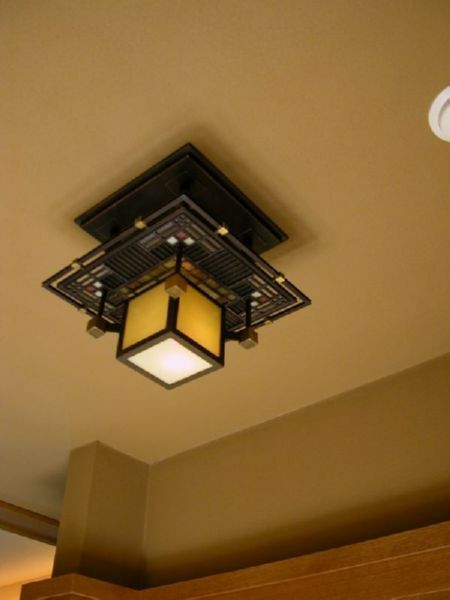 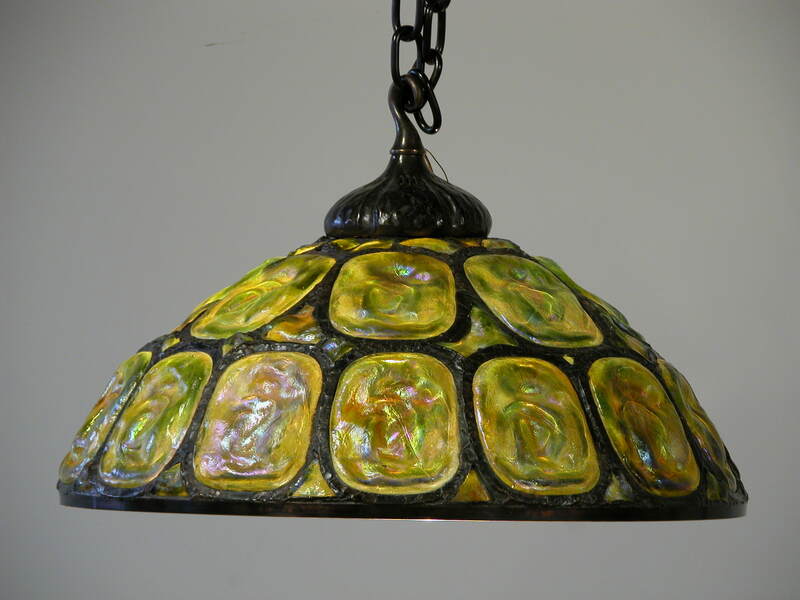 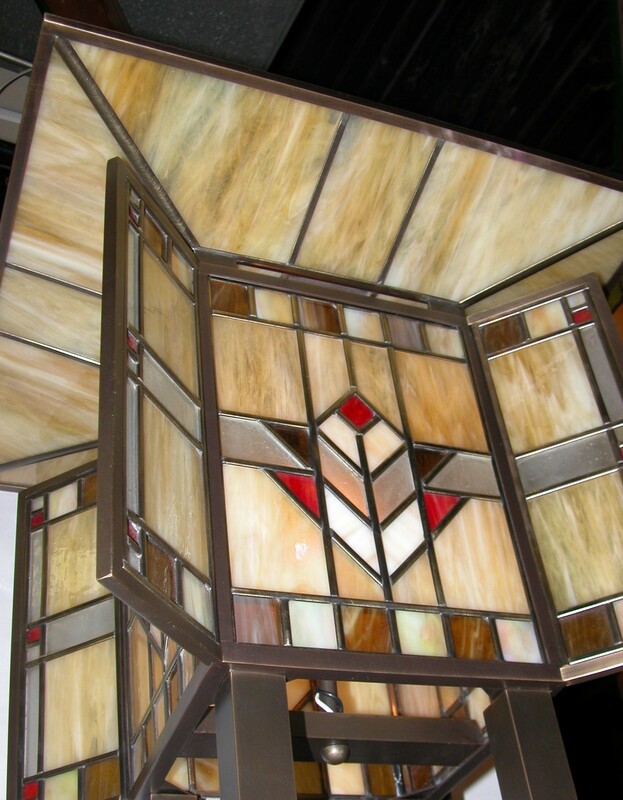 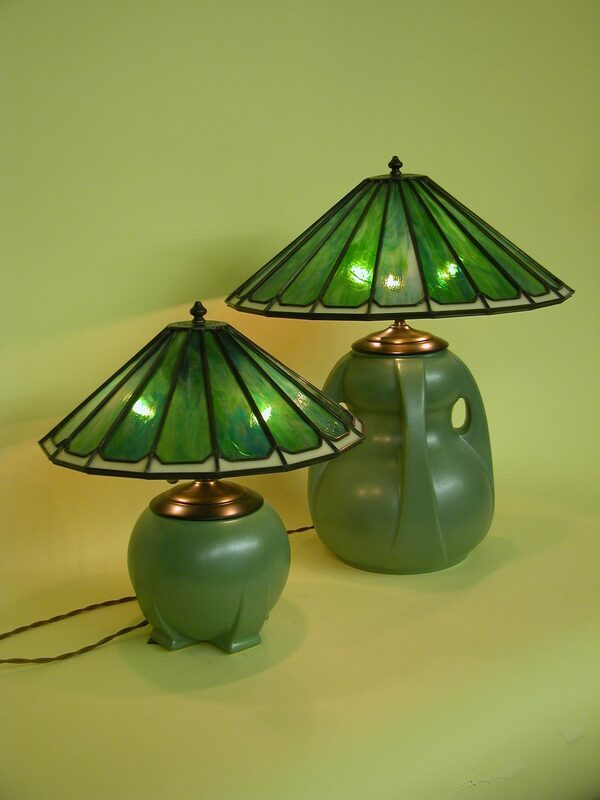 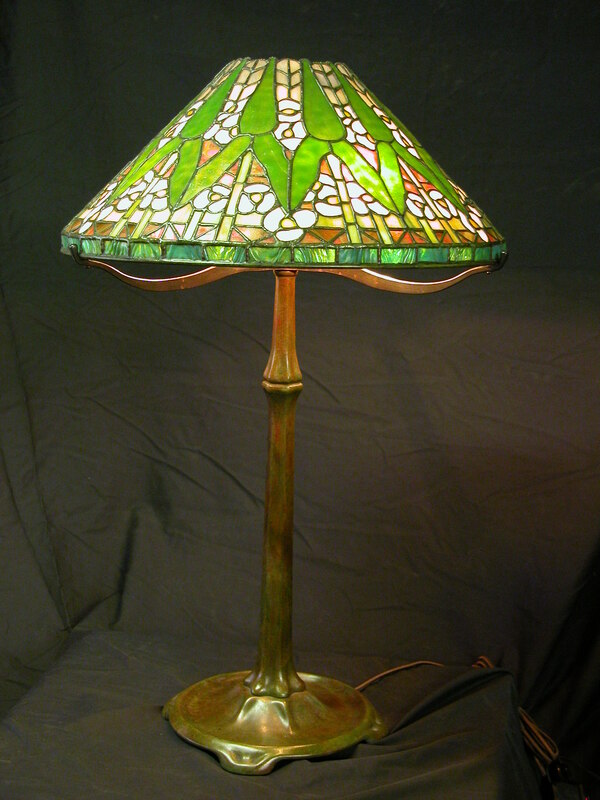 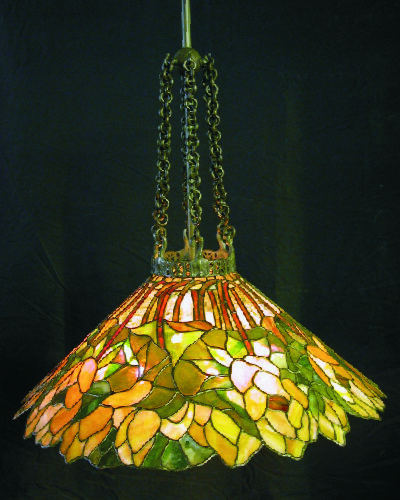 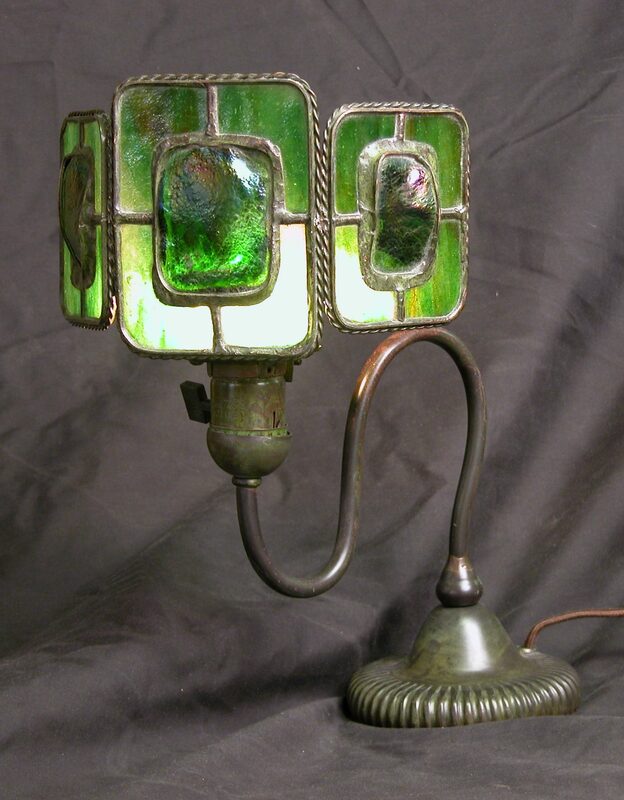 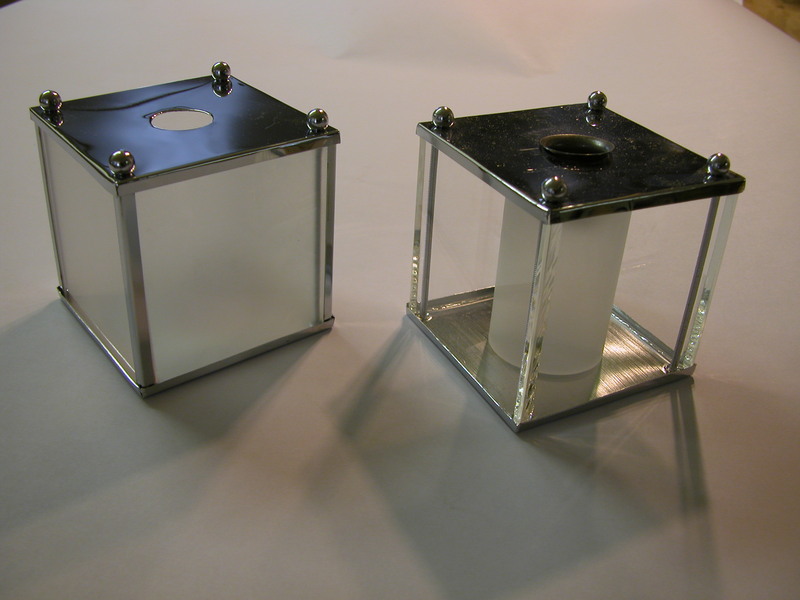 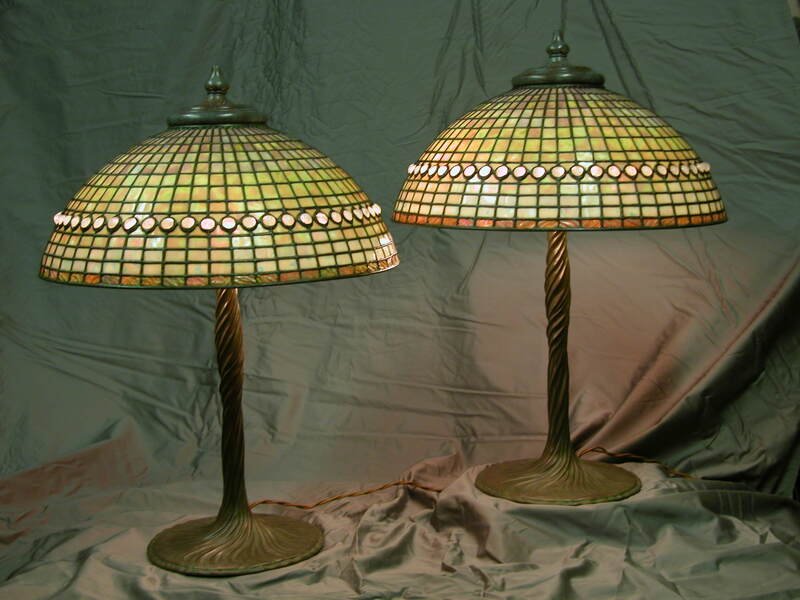 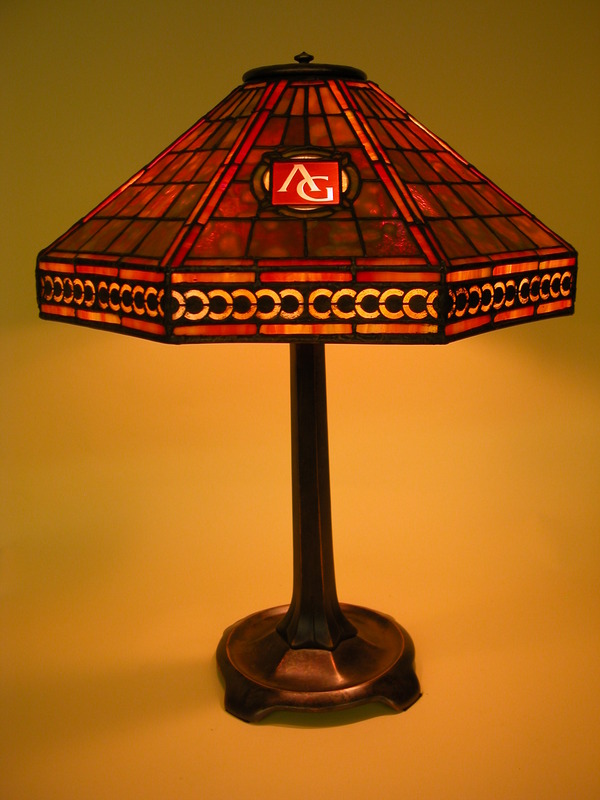 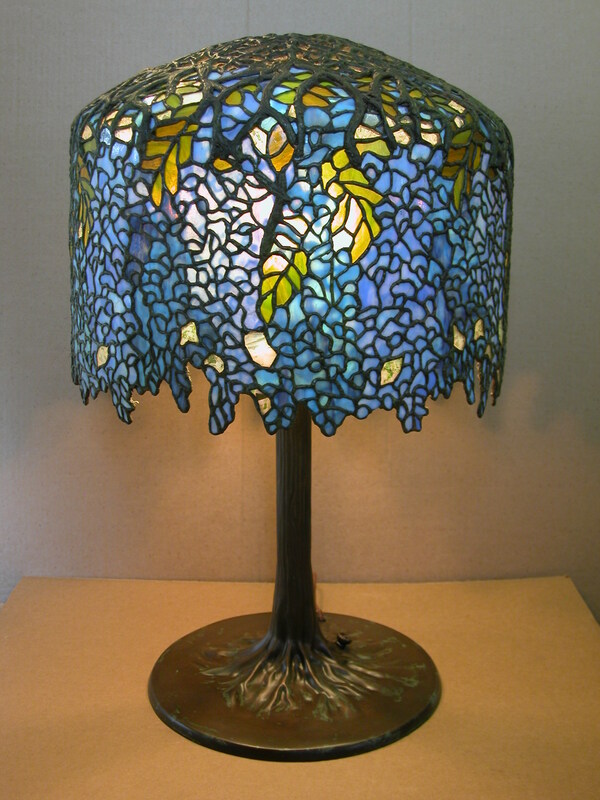 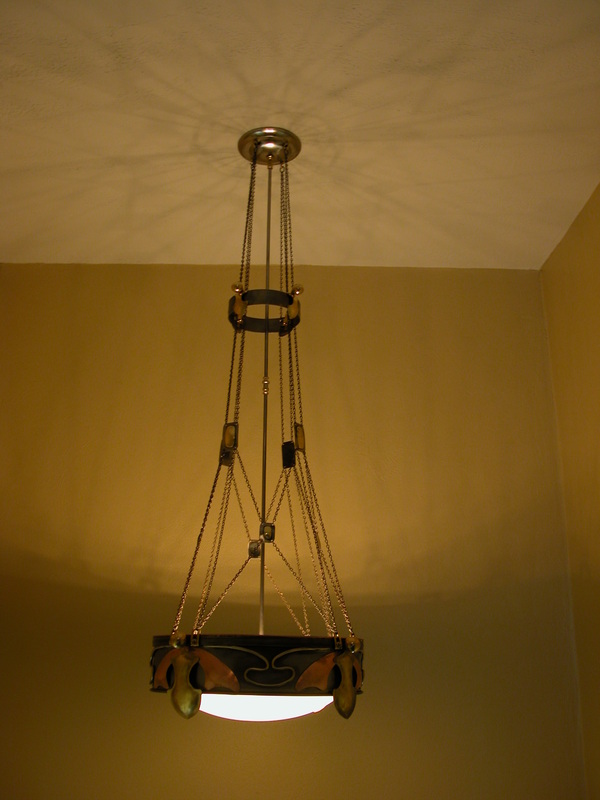 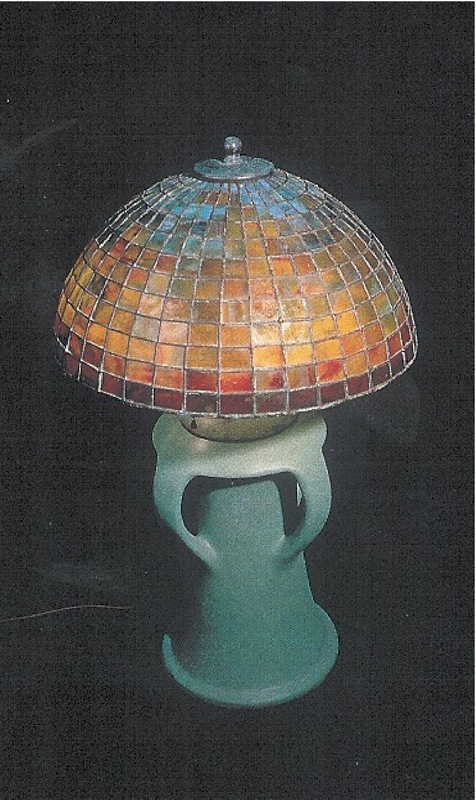 These quality fixtures are available by custom order only, and are exclusively made by Tiffany Stained Glass, Ltd. 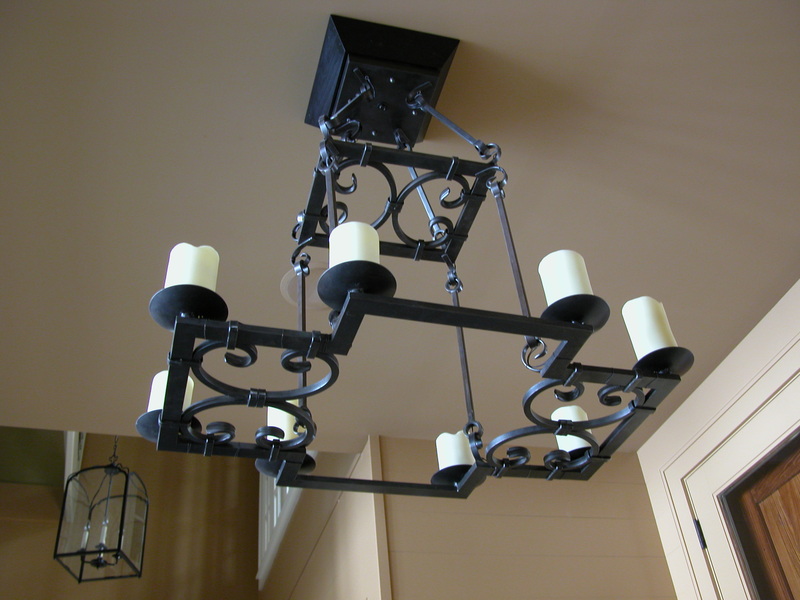 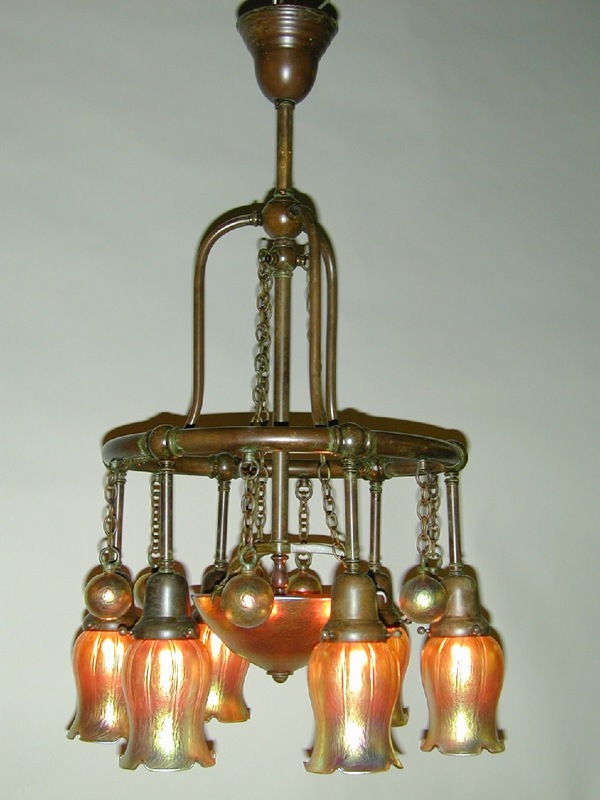 Consult your representative for additional information on ordering..
Tudor Style Chandelier in hammered metal.